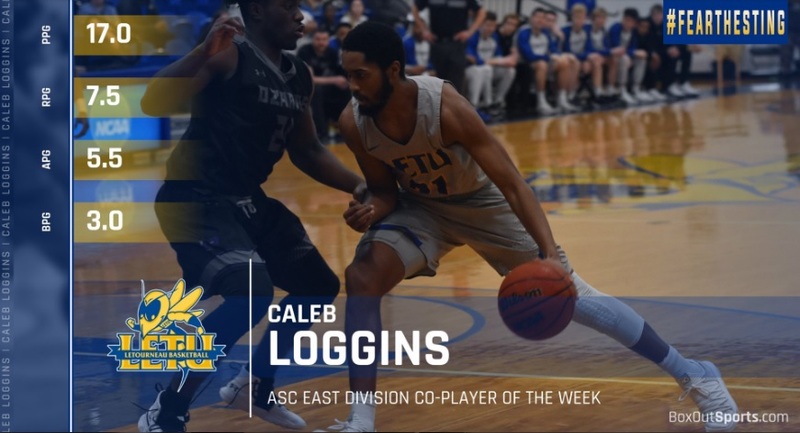 RICHARDSON, Texas – For the second time this season and the fourth time in his career, LeTourneau University men’s basketball player Caleb Loggins has been named American Southwest Conference East Division Co-Player of the Week for his performances during the week of January 28th through February 3. Loggins made his presence felt all weekend as the YellowJackets went 2-0 at home against Texas-Tyler and Ozarks. 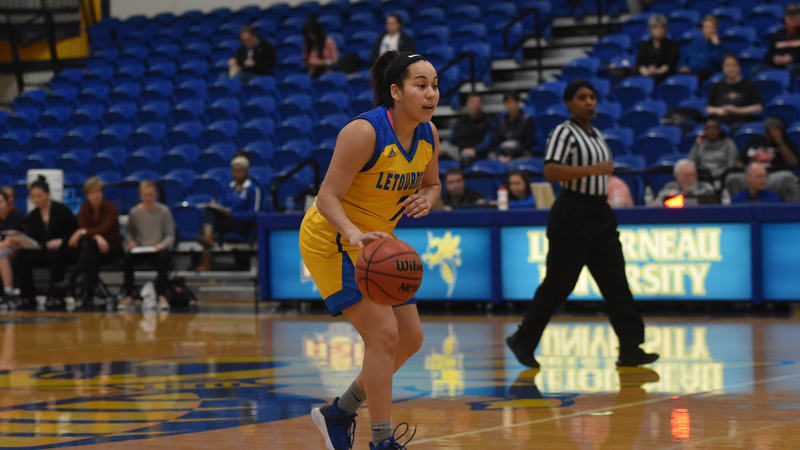 Against the Patriots, Loggins flirted with a triple-double and finished with 14 points, nine assists, and seven rebounds while also adding five steals and three blocks as LETU won the final scheduled battle between East Texas rivals. The Lewisville, Texas native followed up his performance on Saturday by helping LeTourneau avenge last week’s loss to Ozarks by scoring 20 points and grabbing eight rebounds while also adding three blocks in 35 minutes of play. The son of Stanley and LaDonna Loggins, Caleb is majoring in business administration at LeTourneau University. LeTourneau Men’s Track Closes Out Texas Tech Open With Continued Success. 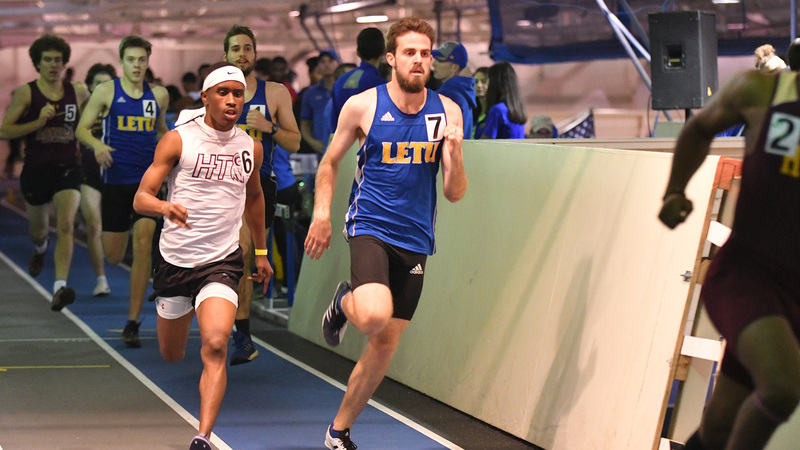 LUBBOCK, Texas – Picking up where they left off Friday night, the LeTourneau University men’s track and field team would close out their weekend at the Texas Tech Open with even more school records at the Sports Performance Center in Lubbock, Texas on Saturday, February 2. Also setting a new school record was Lorien Nightingale in the mile run, finishing with a time of 4:35.67 to eclipse the old record by over nine seconds. Competing in the triple jump would be Nate Berlandier (11.58 meters, 38 ft. – 0 in.) and Keishaun McMillian (11.55 meters, 37 ft. – 10.75 in.) while Daniel Lopez ran a time of 10:34.87 in the 3,000 meters. Other results from Saturday for the LETU saw Wesley Anderson run a time of 2:09.56 in the 800 meters while Nathan Glastetter wouldn’t be far behind with a time of 2:11.84 while the 4×400 meter relay team of Jones, Colton Pounders, Dalton Heichelheim, and McMillian ran a school-record time of 3:34.75 (16th-best time in NCAA Division III South/Southeast region). The 4×400 meter relay team of Arvin Hrushka, Nightingale, Anderson, and Glastetter also ran in the event and finished with a time of 3:47.36. 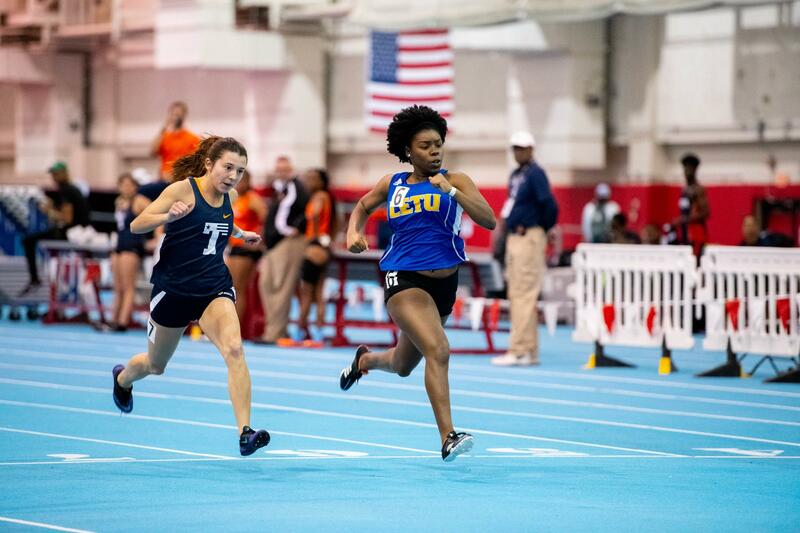 Next up is a chance to head north for the LETU track and field team with a trip to Norman, Oklahoma on Saturday, February 9th to take part in the University of Central Oklahoma Open on the campus of the University of Oklahoma. Field events will begin at 11:00 a.m. with running events getting underway at 11:30 a.m.
School-Record For Ro Galloway Leads LeTourneau Women’s Track and Field at Texas Tech. LUBBOCK, Texas – Led by a school-record setting performance in the 200 meters from Ro Galloway, the LeTourneau University women’s track and field team would close out day two of the Texas Tech Open with multiple personal-best marks at the Sports Performance Center in Lubbock, Texas on Saturday, February 2. Galloway would be one of four YellowJackets running in the 200 meters, finishing with a time of 27.25 which is the 22nd-best time in the NCAA Division III South/Southeast region this season. Kristyn Matthews (28.83), Georgianna Roeder (28.85), and Tori Field also ran in the event as all three would set new personal-bests to go along with Galloway’s school-record. The field also competed in the triple jump and recorded a mark of 9.84 meters (32 ft. – 3.5 in.) to register the only score in a field event for LETU on the day as Roeder would compete but be unable to record a mark in the high jump. Allison Fuller would post a time of 13:25.09 in the 3,000 meters while Alexis Segura (5:40.56), Victoria Hood (5:51.94), McKenzie Craycraft (6:15.94) and Bridey Davis (7:03.62) all ran in the mile run. LeTourneau will look to build off their success next Saturday, February 9 with a trip to Norman, Oklahoma to take part in the University of Central Oklahoma Open which will be held on the campus of the University of Oklahoma. Things are scheduled to get underway with field events at 11:00 a.m. with running events slated for 11:30. LeTourneau Men’s Basketball Opens February With 88-77 Win Over Ozarks. LONGVIEW, Texas – Hoping their home crowd could play a part in avenging a loss earlier in the season, the LeTourneau University men’s basketball took the lead for good with 11:39 left in the first half to take down the University of the Ozarks in American Southwest Conference action at Solheim Arena by a final score 88-77 on Saturday, February 2. Three consecutive victories move the YellowJackets to 14-7 overall on the season and 10-4 in American Southwest Conference play. The Eagles drop to 6-16 overall and 5-8 in conference action after falling in both road games this week. Wasting little time, LETU served up eleven points in the opening three minutes of play to take a quick 11-4 lead. The Eagles were able to find their groove around the 17-minute mark as they hit a transition three to cut the deficit to 11-7 as part of a 9-2 run that would give UO their first lead at 13-12. LETU would find themselves exchanging points with the Eagles for the next several minutes and could not break open the game until as it wasn’t until a 9-1 run gave them some breathing room at 24-19 with 9:37 left before halftime. LeTourneau would manage to maintain their two-possession lead up until the 5:05 mark in the first half as a Seth Mattson free throw would be part of an 8-0 spurt capped off by an Elijah Gerber corner trey to put the YellowJackets up 41-29. The Eagles would be the last team to see points in the first half of play as a layup with nine seconds remaining cut the LETU lead to ten at 45-35 heading into halftime. The YellowJackets would look to build off their first-half performance but found themselves off to a slow start offensively as the Eagles would outscore them 5-1 in the opening two minutes of play and pull within eight at 48-40. Momentum would quickly shift back to LeTourneau’s favor as senior Caleb Loggins, and junior Nate West would give the YellowJackets five straight points and put LETU back up double-digits at 53-40 with 17:37 left in the contest. Keeping their foot on the pedal, the YellowJackets would continue to find their offensive stride through the middle stages of the second half and take their largest lead of the game at 67-47 heading into the final 10 minutes of action. Ozarks would continue to battle and chip away little-by-little to cut the deficit down to 12 at 77-65 with 3:29 remaining before an Andrew Eberhardt triple and Loggins dunk put a cap on things. The Eagles would turn up the pressure and play through until the final horn to cut the LETU down to 10 but would be unable to complete a comeback against the YellowJackets with LETU running out the clock. Five YellowJackets would wind up in double-digits as West dropped a team-best 22 points while also adding a team-high six assists. Free-throw shooting would be suspect at best for LETU, finishing 20-for-32 (60.9 percent) from the charity stripe but would make up for it with an 18-2 advantage in fast-break points. Rebounding (49-43) and points in the paint (44-36) would both end up in favor of Ozarks as the YellowJackets would rely on eight made threes to go along with their transition points to overcome the strengths of the Eagles. Round two between LeTourneau and Louisiana College is scheduled to take place on Thursday, February 7 at 7:30 p.m. in Pineville, Louisiana with sole-possession of second-place in the ASC East Division on the line. The Wildcats will enter Thursday’s contest following a Tuesday night matchup with Belhaven University and is currently tied with LETU in the ASC with an 8-4 conference mark. Earlier this season, the YellowJackets managed to score nine of the final 11 points and take a 97-94 victory over LC on January 19. 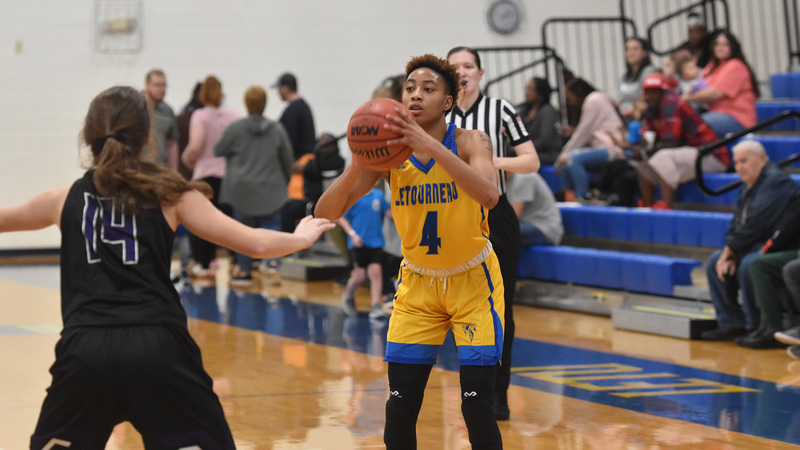 LONGVIEW, Texas – A strong fourth quarter from the LeTourneau University women’s basketball team wasn’t enough to close a 13-3 deficit in points off turnovers in a 54-40 loss to the University of the Ozarks at Solheim Arena on Saturday, February 2. The loss drops LETU to 5-16 overall and 2-10 in American Southwest Conference play while Ozarks snap a two-game losing skid and improves to 12-10 on the season and 7-6 in ASC action. Keauna Whitfield and Olivia Eweni would pair up to give the YellowJackets an early 5-4 lead after facing deficits of 2-0 and 4-2 in the opening minutes of the game. The Eagles would respond with a pair of jumpers and a free throw to score the next five points of the contest while holding LETU scoreless for nearly five minutes to force a timeout with LeTourneau trailing 10-5. Senior Sha’Donnaver Young would end the scoring drought and pulled her team within six at 12-6 before giving up a pair of free throws to UO to complete the period to put the score at 14-6 in favor of Ozarks. A 7-0 run to start the period pulled the YellowJackets within one at 14-13 with 7:55 remaining with Whitfield and Chauntel Acostasparking the run. Ozarks would be quick to respond, however, scoring 14 of the final 16 points of the first half to grab a 28-15 lead at the break. 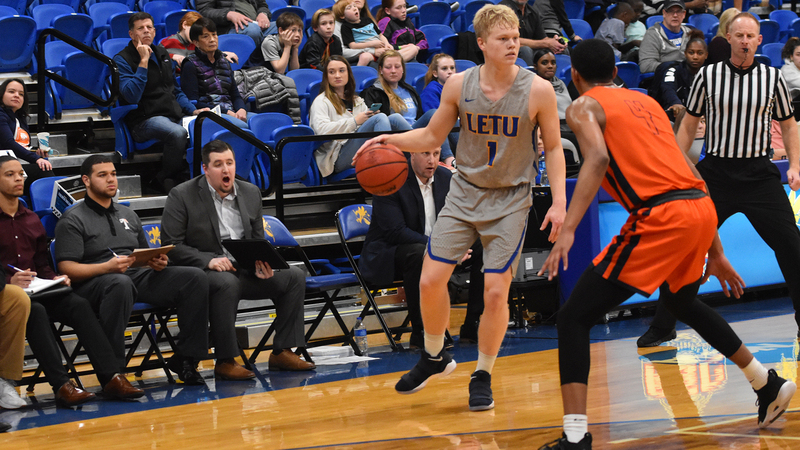 LETU faced a tough task entering the second half of action, the LETU offense would see multiple shots go in and out in the early stages of the third quarter before managing to drive to the bucket and get a three-point play from Whitfield with 4:47 remaining in the third. The hoop and foul would spark the YellowJacket offense as LETU would manage to score 10 of the final 15 points heading into the fourth quarter as an offensive rebound, and put-back from Acosta at the buzzer softened the deficit to 43-25 in favor of the Eagles. Maintaining possession for the majority of the fourth quarter, the YellowJackets saw offensive rebounds play to their advantage as they snatched a total of eight in the ten-minutes to spark a 7-0 run and pull within 11 with 3:02 remaining (47-36). The energy expended to mount the comeback would ultimately prove to be just a little too late however as Ozarks would manage to score seven of the final 11 points and hold off the YellowJackets. Ozarks was able to capitalize on their rebound advantage as they turned their 45 boards into 20 points while LETU earned only 15 points off of their 39 rebounds. Whitfield would record yet another double-double on the season, scoring a team-high 19 points to go along with a team-best 12 rebounds. Bench points would prove to be another factor that broke in favor of the Eagles as UO would outscore LETU 22-9 from non-starters. LeTourneau will look to redeem themselves on Thursday, February 7 as they hit the road to travel to Pineville, Louisiana to face another conference opponent in Louisiana College at 5:00 p.m. The Wildcats will enter Thursday’s game following a Tuesday night matchup against Belhaven University. 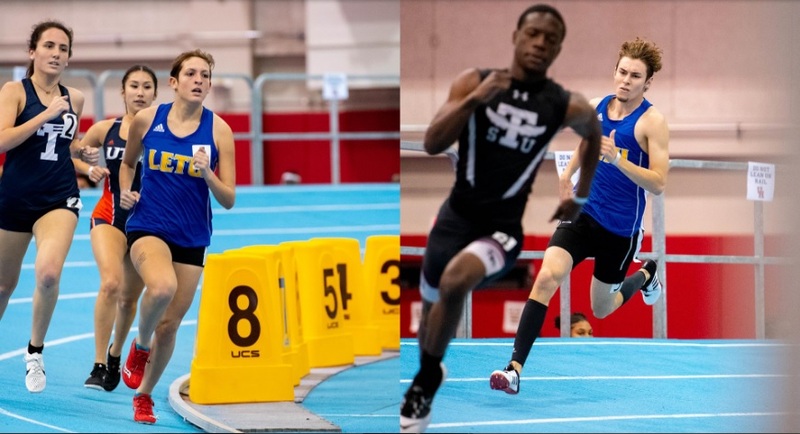 LUBBOCK, Texas – Kicking off the first of two days at the Texas Tech University Invitational, the LeTourneau University women’s and men’s track and field team would manage to break a total of three school records at the Sports Performance Center in Lubbock, Texas on Friday, February 1. In limited action, LETU saw Tori Field set a new school record in the 60-meter hurdles with a time of 10.50 while Alexis Segura would take third in her first-ever attempt at the 5,000 meters during the indoor season (19:39.67). The YellowJacket men would also see a new school-record get set as Dalton Heichelheim would run a time of 53.01 in the 400 meters to beat out Colton Pounders (53.93) and Arvin Hrushka(54.94) who also ran in the event. On the women’s side, Lexi Funk would run in the 400 meters (1:07.93) and 60-meter hurdles (11.34) in addition to Ro Galloway (8.50) and Kristyn Matthews (8.52) competing in the 60-meter dash. Other results for YellowJacket student-athletes on Friday evening saw Hrushka (10.07) and Keishaun McMillian (10.74) run season-best times in the 60-meter hurdles while Nate Berlandier narrowly missed out on a new personal-best time in the 60 meters (7.58). Plenty of action will be seen from LeTourneau athletes on Saturday to finish out the two-day meet, with work getting underway at 11 a.m. 18 different student-athletes are scheduled to compete in a variety of events, with full results posted to www.letuathletics.com following the conclusion of the meet. LeTourneau Places 39 Student-Athletes On Fall All-Academic Team. 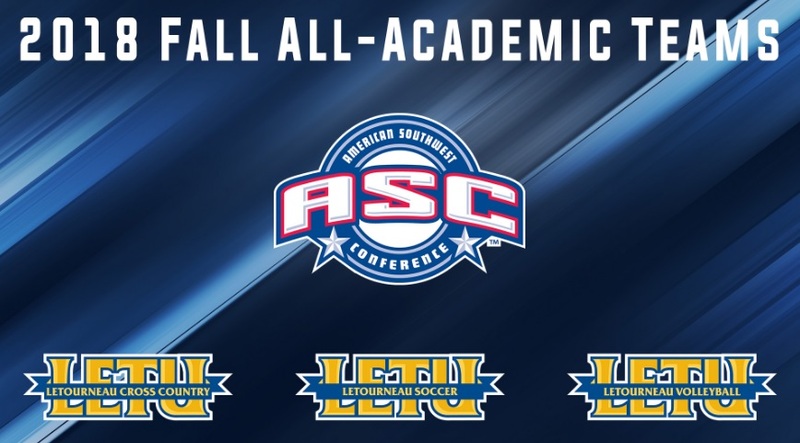 RICHARDSON, Texas – LeTourneau University had 39 student-athletes recognized for their efforts in the classroom and on the field as a total of 662 student-athletes from 13 member institutions and two affiliate institutions have been recognized by the American Southwest Conference on its 2018 Fall All-Academic honor roll. The teams, which were were announced today by the ASC office, include the sports of men’s and women’s cross country, football, men’s and women’s soccer and volleyball. For student-athletes to be eligible for ASC All-Academic honors, they must be classified academically as a sophomore, junior, senior or graduate student during the competition season and have been in attendance and completed at least one academic year (two consecutive semesters) at their institution. They must also have a 3.0 cumulative grade point average (GPA) as certified at the conclusion of the academic semester in which the ASC sports championship is held. LeTourneau Men’s Basketball Wins Final Battle Against Texas-Tyler 92-76. 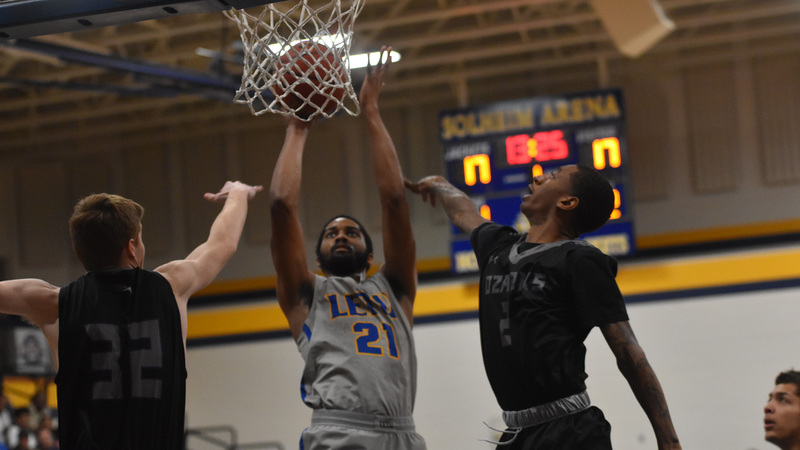 LONGVIEW, Texas – Returning home to the friendly confines of Solheim Arena, the LeTourneau University men’s basketball team won the final battle of East Texas rivals with a 92-72 win over Texas-Tyler at Solheim Arena on Thursday, January 31. Back-to-back victories against the Patriots bring the YellowJackets to 13-7 overall while Texas-Tyler falls to 8-13. The game is considered a non-conference game and does not affect American Southwest Conference records as Texas-Tyler is in the first year of NCAA Division II Reclassifying. It would be the Patriots who would come out and be the aggressors in the opening minutes and grab a 9-3 lead over the YellowJackets before an Elijah Gerber triple would cut the lead in half and pull LeTourneau within a single possession. After another Texas-Tyler bucket, LETU would score 13 of the next 15 points and grab their first lead of the game at 19-13 with 13:20 left in the first half. UTT would be quick to respond with four straight points from Darius Alford but would see senior Seth Mattson for LeTourneau connect on a three to push the lead back out to five. The Patriots would continue to battle their way back just a two-point deficit at 24-22, and eventually tie things up at 26-26 with 6:46 left until halftime. A 15-2 run by the YellowJackets would be capped off by a Caleb Loggins jumper with 2:53 left in the first half, as LeTourneau would close out the half by outscoring UTT 18-8 and take a 44-34 lead into intermission. A Nate West three and Gerber layup to open the second half allowed the YellowJackets to open a 49-34 lead and force a quick Texas-Tyler timeout, but it would be the Patriots who would storm back by scoring seven straight points to pull within eight at 49-41. LeTourneau would manage to keep their lead around 10 points before seeing Texas-Tyler manage to get within as little as five at 59-54 before a 7-2 LETU run pushed the lead back to 10 at 66-56. The final 10 minutes of action would see the YellowJackets maintain their double-digit lead for the duration of the contest and go up by as many as 20 at 84-64 with 5:26 left which allowed for LETU to earn their eighth double-digit victory of the season. Mattson scored a team-high 21 points while Loggins led the YellowJackets in rebounds (7), assists (9) and blocks (3). With the help of a 50 percent (18-of-36) shooting performance in the first half, LETU finished the contest shooting 49.3 percent (36-for-73) from the field while the Patriots managed to pull 52.3 percent (34-for-65) percent. LETU managed to hold a slight rebound advantage in the game, grabbing 14 offensive boards as part of their 32-rebound total while holding Texas-Tyler to just 27 rebounds in the game. LETU will return to conference action as they face the University of the Ozarks in a 3:00 p.m. matchup on Saturday, February 2. LETU will look to avenge last week’s road loss to the Eagles, who fell in overtime at East Texas Baptist University on Thursday evening. LeTourneau Women Fall in Return Home Against Texas-Tyler 69-46. LONGVIEW, Texas – Second quarter shooting woes would put the LeTourneau University women’s basketball team in a 28-14 hole that would be too big to overcome in the second half in a 69-46 home defeat to the University of Texas-Tyler at Solheim Arena on Thursday, January 31. The game, which does not count towards American Southwest Conference standings, is slated to be the final game against East Texas Rivals as LETU falls to 5-15 overall. Texas-Tyler, who is in the first year of NCAA Division II Reclassifying, improved to 12-8 overall with the victory. Senior Sha’Donnaver Young would look to get things going early on for the YellowJackets, connecting on a pair of free throws before coming down and hitting a trey with 7:57 remaining in the first quarter to give LETU a 5-3 lead. In what would become a back-and-forth opening period, UTT would score the next four points of the game before an Alexandria Thorne bucket knotted the game at 7-7 as part of three lead changes and three ties. Following a second 4-0 surge for Texas-Tyler, LeTourneau would connect on a Claudia Moonsammy triple followed by Thorne’s to claim a 13-11 lead before a final basket by the Patriots tied things at 13-13 heading to the second. Points would be far and few in between for both squads in the opening stages of the second as Texas-Tyler would score the first four points of the second quarter before an Alyssa Abrams free throw cut the deficit for the YellowJackets down to 17-14. The final 11 points of the first half would wind up falling in favor of Texas-Tyler as LeTourneau would be forced to trail 28-14 at the break after some unlucky bounces on multiple shots in the quarter. Three-point shooting would become a focal point for both teams to open the third quarter with the Patriots and YellowJackets combining to make three of their first four shots come from the outside. As part of the barrage, Texas-Tyler would get back-to-back three’s from Shadazia Birchette and Carissa Spiker to go up 41-17 but would be quickly answered by a Thorne triple with 3:05 remaining in the quarter. The up-tempo pace of the quarter would close out the third with Texas-Tyler and LeTourneau combining to score 12 points in the final 2:53 as LETU would face a 48-25 deficit with 10 minutes remaining to try and mount a comeback. Matching each other bucket-for-bucket, LETU and UTT would find themselves picking up where they left off to end the third quarter as the YellowJackets would break through with a 7-2 run to gain some momentum and trail 52-32 with 7:49 remaining. Four straight points for Texas-Tyler would briefly put things on hold for LeTourneau, but Thorne would prove once again to come up with a big shot by hitting a three which would be followed up by a Moonsammy triple just two minutes later. The two treys would be part of an 8-2 YellowJacket run that saw LETU close the gap to 58-40, but it would ultimately prove to be too much offense by the Patriots down the stretch as LeTourneau never could fully close the gap. Points in the paint would prove to be the most significant difference in the game as Texas-Tyler outscored LeTourneau 36-8 in the paint while also getting 23 points from bench players. A 50 percent (7-for-14) outing from the three-point line in the second half would help LETU hit 10 triples in the game compared to just a 4-of-21 (19 percent) performance from the Patriots. Thorne led the YellowJackets with 19 points and four rebounds while Whitfield would grab a team-best 11 rebounds. LeTourneau will get a second shot at the University of the Ozarks on Saturday, February 2 with a 1:00 p.m. tip-off against the Eagles from Solheim Arena. Ozarks is coming off back-to-back losses to East Texas Baptist University and is now 11-10 overall and 7-5 in American Southwest Conference action heading into Saturday.